Thank you to all of you who have come along on my college tours over the past year or so. I still have a couple of interesting places I want to share, but I’ve been so caught up in this end~of~school year/ Graduation tornado I just haven’t had a chance to post as much as I would like to lately. Well, I guess I need to get used to tornadoes, because my future will be taking me to the Midwest. West Lafayette, Indiana to be exact. My son will be going to Purdue. He graduates tonight, and the ceremony will be followed with plenty of fetes and follies. I hope to get back on track after that. I hope I don’t cry. 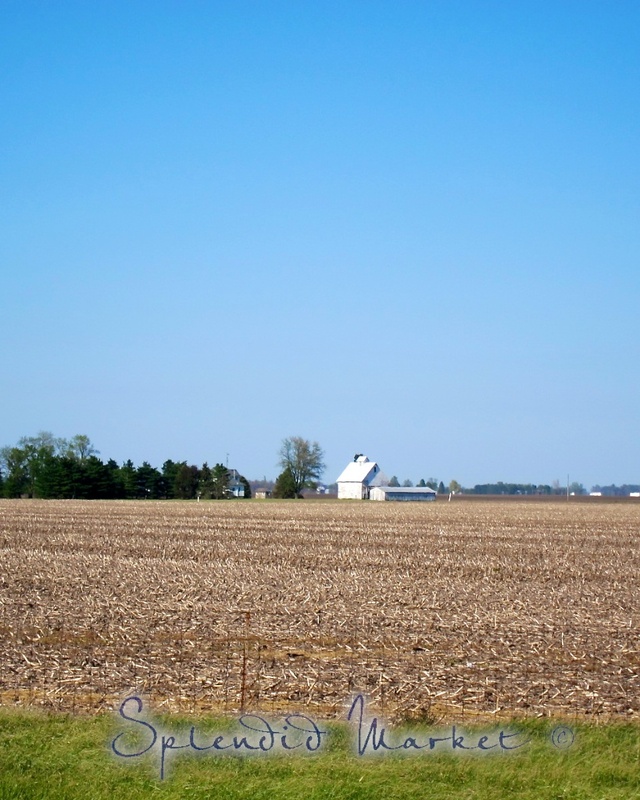 I’m looking forward to seeing these cornfields this August when I take him back there. I hope he is happy. I hope he is well prepared. I hope he enjoys the wide open spaces, literally and figuratively, that will be his. I was the boohoo one for certain. Such a huge change. Congratulations to your son, Emily, and to you, too, for getting him this far. You must be so proud. I'm sure you've prepared him well to go off to the wide open spaces ahead. I'll raise a glass to both of you on the big day. Cheers! I feel for you. Ive been through all that, and it is a special time in your lives. Will you be empty nesting? If so, I can commiserate, although Im over it now, after 5 years…best of luck with all the transitions. Congratulations! My husband's brother went there and really liked it. ps. It's ok to to cry. What an exciting time…thrilled for you all!! A little late with this comment, but wanted to congratulate you and your son! I am a Hoosier subscriber and want to welcome you both to our fine state this fall! I hope he enjoys his time here….and you too! After leaving the state for awhile, I found I missed the cornfields! Can't wait to read your posts! Thank you for all!! Kelly I am looking forward to trying on my Hoosier hat! What does it mean to be a Hoosier subscriber?? Sorry, that wasn't very clear….I meant that I follow your blog and I am a Hoosier (Indiana resident)! I just love the internet….it makes the world so small! Thought it was fun to read your post and find the Indiana connection! Let me know if you need any suggestions, etc when you make it out here in the fall. Enjoy you summer!